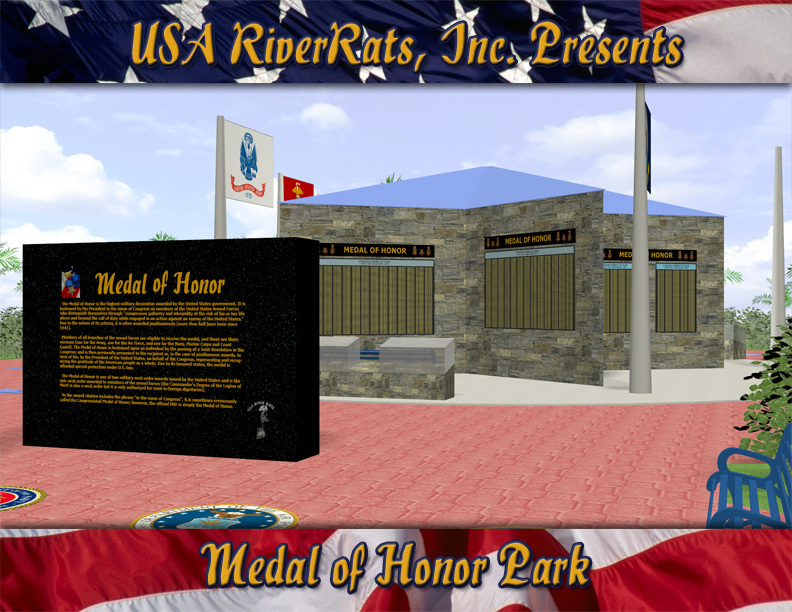 Medal of Honor Park - Presented by the USA River Rats, Inc. The Medal of Honor, referred to as the Congressional Medal of Honor since 1946, is the highest honor that can be bestowed on a member of our Armed Forces. Since February 1861, when the first medal was awarded, 3517 medals have been awarded to 3498 individuals of which 19 are double recipients of the medal. In December 1861, Congress passed a bill to establish a Navy Medal of Honor and President Lincoln signed the bill to approve 200 Navy medals. In February 1862, Congress introduced another bill to create an Army Medal of Honor and President Lincoln signed the bill in July. Over the course of time there have been several changes to the design of the Medal of Honor and even more so the criteria through which the medal could be awarded to an individual. The Civil War recorded 1,522 recipients of the MOH; however 683 of those medals were awarded between 1890 and 1899 due to changes to the award criteria. In October 1916, a review board was established to examine every award from the Civil War to the current time period. The board released their findings in February 1917. Resulting in the removal of 911 names. During July 1918, Congress enacted a new bill that would permanently define the merits and the future of the Medal of Honor. This would also establish other awards, such as the Distinguished Service Cross, the Distinguished Service Medal and the Silver & Bronze Stars. In addition this legislation established requirements mandating the length of time a recommendation could be made after the actual incidence of heroism and the medal had to be presented within 3 years. Also, no individual would in the future be awarded as a double recipient. In 1946 the Congressional Medal of Honor Society was formed and on September 16, 1948 the society was formally incorporated. The United States Air Force was born on July 26, 1947, but not until August of 1956 was it authorized to have its own medal design, separate from those of the Army and Navy. Their distinctive design was introduced in 1965. July 1963 saw the last significant change to the criteria by which an individual could considered for the Medal of Honor. During the last quarter of the 20th century several Presidents have presented medals to the families of several individuals who were earlier denied that honor on the basis of gender or racial bias. The most prominent of these was Dr. Mary Walker, the only female recipient. 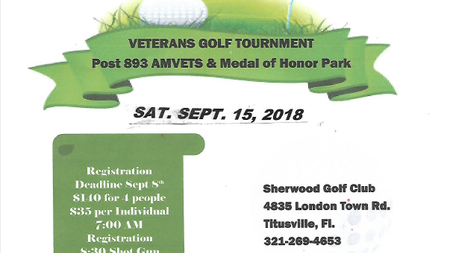 We are a group of veterans and non-veterans that started this organization in 2005 with the mission to help and support our veterans and active duty personnel as well as foster community awareness in support of our goals. The USA River Rats vision is to erect a lasting tribute to the bravest of the brave. The Medal of Honor is the highest military honor that can be bestowed on an individual. We believe that each and every recipient should be forever remembered for their unselfish acts of heroism. Not one recipient ever set out on a quest to earn a Medal of Honor. Their acts of bravery spoke loudly as to each and everyone’s character and devotion to duty. The Medal of Honor Park we are creating is a huge project that can only be accomplished with the help and support of many businesses and individuals within the local communities and throughout the state of Florida. We have already secured a home for the park on Merritt Island, at the Veterans Memorial Park adjacent to the Veterans Museum. Our committee of dedicated people are spearheading the design layout and specifications for this Park, but we fully realize the importance of seeking outside help to guarantee the success of this project.